Pallet racking have Conventional pallet racking, Double Deep, and Very Narrow Aisle pallet racking system, the component is upright frame, beam, mesh decking, support bar, protector, frame protector, row spacer, guide rail, and so on. The beam height could be adjusted in 75mm or 50mm. Ordinary forklift, reach truck, three-dimensional forklift and so on can be equipped due to adoption of optimized section design and high quality steel, it is also a very common warehousing system design solution. The different models, sections and thicknesses of uprights and beams enable them to be adapted to a wide range of loading requirements. The length of the beam and the depth of the upright frame is determined by the size of the pallet. The working aisle width between racks and the rack height depends upon the characteristics of the forklift trucks or lifting devices, pallet size and the height of the warehouse itself. The VNA racking system is a kind of high elevation racking pick system that the aisle width of heavy duty pallet is to be confined to about 1.8m and extremely utilize warehouse space. The system needs a high level of manufacturing accuracy, product strength and engineering assembly. 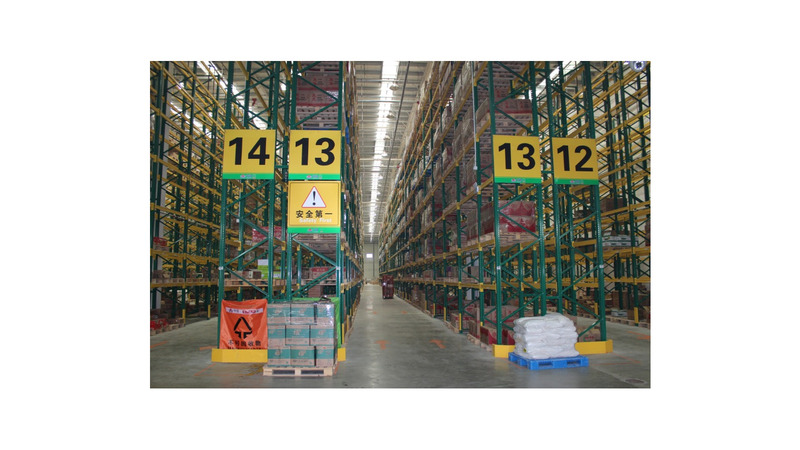 Double-depth pallet rack can be accessible for two pallets along one depth direction, even four pallets can be picked in the case of dual-side picking rack. The dual-depth pallet rack reduces aisle occupying space, i.e. increase storage density, but simultaneously reduce the rate of pallet option. It follows FILO principle, 50% immediate pick rate makes the system is of reasonable storage liquidity, and simultaneous space is well used. The system is most suitable for the storage of pallet number no less than one or more of each category items. Special forklift i.e. accessible to the shelf is needed for the system. Limited by the goods weight. If necessary, guiding track can be mounted on the top of the system to help driver storing pallet.